As the online sales industry grows and the role of warehousing—and warehouses themselves—get bigger, having accurate inventory counts is essential to any business’ bottom line. Ship orders faster and deliver better customer service—even when they’ve outsourced their warehouse operations and have no control over the physical goods. Better predict customer needs and fluctuations in demand, allowing the right amount of product to be available when customers want it, while avoiding over-stocking product, which can increase warehousing costs. But most warehouse managers still rely on inventory “spot checks” as a way to make sure that product on hand matches what’s recorded in the books. That’s not a quick or easy task. It often requires a bulky, slow-moving lift and a skilled operator to reach product on the upper shelves. It’s also labor-intensive, relying on eyeballing box labels to determine the number of available packages, what’s in them, and then matching that information with data in the Enterprise Resource Planning (ERP) system. That’s a lot of work just to get a small inventory sample. But now there’s a paradigm-shifting way to not only do spot checks more quickly and efficiently, but also allow for more frequent full-warehouse inventorying using drone technology. A team of drones enthusiasts from Intel IT partnered with others from across Intel, and they volunteered to develop and test a complete solution (hardware, software, and integration). 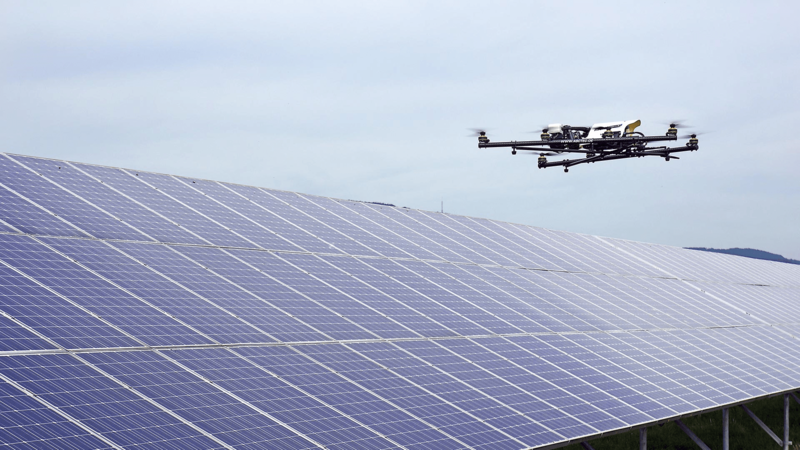 The solution includes quadcopter drones that can be programmed to autonomously maneuver to user-defined locations using a high-precision indoor positioning system. Then they use their on-board, high-resolution cameras to capture box label images and transmit them to the cloud for processing. An application on the cloud connects to the ERP system, compares the drone-captured data, and then produces a variance report. But the drone-generated data can go much further than just checking quantity, material type, and location accuracy. With actual images available, warehouse managers and other company leaders can determine how well the warehouse is run. Are shipments in good condition? Are they in the right location? Are there inefficiencies that can be improved upon? The solution also introduces positive side effects. It can help reduce warehouse traffic and free warehouse personnel and equipment for other tasks. There are still some challenges that need to be addressed to make it more viable. For instance, battery life is now only 15-20 minutes, limiting the amount of work per flight. But with drone usage becoming increasingly popular, this is likely to be tackled sooner rather than later. Also, some narrow warehouse corridors may still be difficult to for these indoor drones to maneuver through, and image capturing still needs further refinement. These are small challenges considering that this solution can have great benefits to warehousing—and have other practical uses. In the future, the image processing sub-component can help digitize many steps in the supply chain—shipping labels, customs declarations, freight traceability, and so on. It will be a key component of the digitized warehouse. 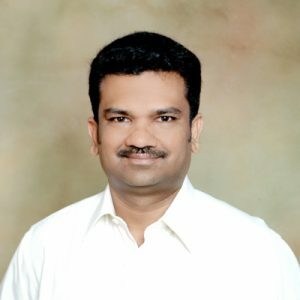 Chidam S. Nachiappan is a 17 year Intel veteran. During his tenure, he has contributed to IT in multiple roles. Chidam has demonstrated his technical leadership by actively developing and submitting over 22 abstracts via various internal and external forums. As a part of his innovation journey, Chidam has identified opportunities in supply chain traceability in ATM factories in which he develop solutions that resulted in savings in the millions for Intel. Previous article:Why Does the Store Ignore the Recommendations that Shoppers Value?